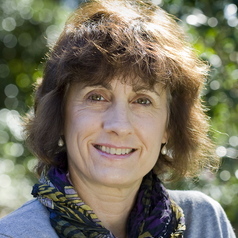 Professor Lesley Hughes is an ecologist in the Department of Biological Sciences at Macquarie University and an expert on the impacts of climate change on species and ecosystems. She is the co-convenor of the Terrestrial Biodiversity Adaptation Research Network, Chair of the Tasmanian Climate Action Council and a member of Climate Scientists Australia and the Wentworth Group of Concerned Scientists. She was a commissioner with the independent federal government advisory body The Climate Commission until it was disbanded. She now works pro bono as a councillor for the independent, non-profit group the Climate Council. Funded by donations from the public, its mission is to provide authoritative, expert advice to the Australian community on climate change. Professor Hughes was also a member of the Expert Advisory Group on Climate Change and Biodiversity for the Australian Greenhouse Office and the Department of Climate Change, and a lead author for the UN’s IPCC Fourth and Fifth Assessment Reports. Her research has been published extensively in peer-reviewed journals. Professor Hughes is very interested in the potential impacts of climate change on species and ecosystems, as it is most serious and challenging environmental issue we face. Her research integrates a number of different methods, from small-scale field and laboratory manipulations, to computer modeling of potential impacts on hundreds of species. This research interest has led to work focused on the implications of climate change on the applied issues of land management and conservation policy in Australia and elsewhere. She is currently involved in a large collaborative project assessing the impacts of climate change on the major environmental weeds in Australia.